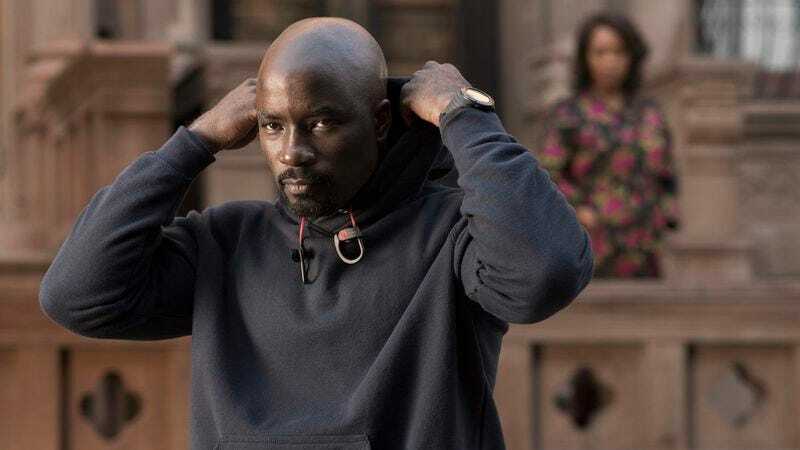 Having established his superhero bona fides as the star of Marvel and Netflix’s well-received Luke Cage, Mike Colter has started fielding offers for big-screen sci-fi throwdowns, as well. Variety reports that Colter has joined the cast of a new film titled Extinction, where he’ll be (presumably) helping to fend off an alien invasion, alongside Michael Peña and Lizzy Caplan. Details about the film are sparse. (About all we know is that it doesn’t seem to be the James McAvoy robot project of the same name that we reported on last year.) Ben Young will direct, while Eric Heisserer—who was briefly attached to the now-defunct Sandman movie, and who picked up an Oscar nomination for a very different kind of alien invasion in last year’s Arrival—will write. For his own part, Colter didn’t fight any aliens in Luke Cage (although we can keep our fingers crossed for The Defenders) but he did have a small, pre-TV-star-dom part in Men In Black III.